THE Maoists have stepped up their violent strikes in different parts of the country. The daring ambush on the Congress convoy at Sukma in Chhattisgarh has been followed up by an attack on a train in Bihar. The Maoists forcibly stopped the train near Kunder halt about 170 km from Patna. They killed an RPF jawan and a passenger, looted the weapons from RPF personnel and detonated explosives to deter security forces from chasing them. This is the first day-time attack on a train by extremists and flies in the face of claims by the governments in Bihar and Jharkhand that the Maoists have been cornered and thwarted by sustained operations of the security forces. It is true that during the past two years there has been some decline in Maoist attacks and fatalities. The number of incidents fell from 1760 in 2011 to 1415 in 2012. Casualties among the security forces has also come down from 142 (2011) to 114 (2012). The Maoists had also suffered casualties at the level of the top leadership. Of the 16 members in its Politburo, two had been killed, while another seven were in custody and in the 39-member central committee, five have been killed and 13 are in custody. In order to galvanize and boost the morale of the cadres, the Maoists wanted to demonstrate their strength by launching spectacular strikes. Similar offensives in the days ahead are clearly on the cards. 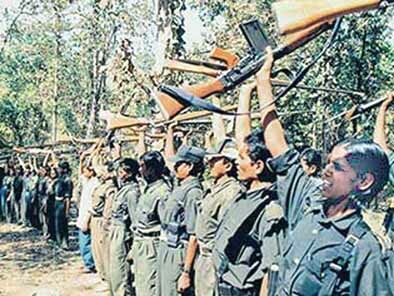 The Maoists today are a far cry from the ill-equipped Naxalites of 1970s. They are highly organized and motivated and have nearly 22,000 cadres spread over seven states. They had an annual budget of nearly Rs 60 crore in 2007 and their collection has now increased significantly. Extortions from contractors, mine owners, tendu leaf traders and sandalwood smugglers are their main sources of funds. They have nearly 100 training camps and many of their cadres are reportedly being trained by ex-army officers. In Chhattisgarh, there are liberated zones in Bijapur, Sukma, where the Maoists have entrenched themselves and set up “Janatan Sarkars”. Their writ runs in these areas. 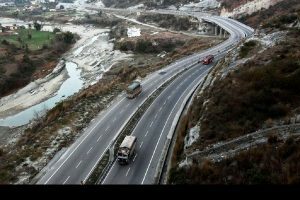 Poor connectivity in terms of roads and communications hampers the operations of the security forces. CRPF personnel often remain confined to their camps. In Bihar , Bhimband forest in Jamul district is an important base of the Maoists. The volatile region runs contiguously with Jharkhand and leads to Junglemahal in West Bengal. The areas provide easy access to Bihar, Jharkhand, West Bengal and Chhattisgarh. In the reckoning of security experts, the outrage in Jamul was a curtain-raiser. It is singularly unfortunate that the response of the central and state governments to the Maoist menace has been unclear and spasmodic. Though the Prime Minister had emphasized that the Maoist insurgency posed the gravest security threat before the country, there has been no clear-cut anti-terror policy and no long-term strategy to counter the extremists. Under the former Home Minister Shivraj Patil, thanks to his “brothers and sisters” approach, the threat posed by the Maoists was not taken seriously. Chidambaram&’s clear “hold and develop” policy was pragmatic, but could not be implemented owing to a variety of factors. There should be a “drying-up-the-swamp” approach by establishing control over Maoist-dominated areas. This ought to be followed by sustained and expeditious socio-economic development. So far, operations against the Maoists have suffered due to lack of coordination between the Centre and the states and within the states themselves. In the recent conference of Ministers, the Home Minister emphasised the need for inter-state cooperation at all levels without engaging in blame-game. Assertive action must replace mutual determination. Earlier, “Operation Green Hunt” against the Maoists in West Bengal and Jharkhand had not been successful because the states dragged their feet due to political and electoral considerations. It is a fact that the Bihar government has not so far kept up sustained pressure against the Maoists, far less launch major operations against them. The Chief Ministers, who always assert that law and order is a state subject and hence resent any interference by the Centre in their turfs, try to convey the impression when it comes to internal security challenge posed by the Maoists, it is a national problem and hence the Centre must bear the main responsibility for tackling it. This lackadaisical approach has blunted the edge of counter-terrorist operations. They forget their own responsibility in strengthening and training the state police for countering Maoist insurgency. It has been suggested by some experts that the CRPF, the main paramilitary force combating the Maoists, is battle fatigued and hence the army should be deployed for clearing and reclaiming the liberated zones held by the Maoists. Swift knockout operations will dislodge the Maoists from their entrenched areas and will enable the state administration to re-establish its authority in those forbidden zones. This, however, is a wrong prescription. Anti-Maoist operations have to be spearheaded by the police aided by paramilitary forces. In Andhra, Punjab and Tripura counter-terrorist operations have been successfully carried out by the police and the paramilitary forces who have played a major role in containing and thwarting the extremists. The Union Home Minister has advised the states to follow the Andhra model through which the police and the specialized security agencies like the Grey Hound have been able to thwart the Maoists. The key to success is swift police action backed by intelligence. In Andhra Pradesh, roads, schools, dispensaries and police stations are on the anvil in those areas freed from Maoist control. The strategy should be swift enough to ensure that development takes place as soon as the security forces reclaim an area. And for achieving this goal, it would be desirable to reach a political agreement with the states to bring the civil administration and law and order under an overall commander who could well be a nominee of a state government. In the aftermath of the attack on the political leaders at Dabrah, there is now a new sense of urgency to deal with the Maoist phenomenon. The all-party conference unequivocally adopted the resolution that the Maoist violence has to be confronted effectively. Even the human rights groups and “intellectuals” have condemned the killing by the Maoists. Hopefully, there will be political support for the operations of the security forces and there will be no equivocation to put down the Maoist insurgency with a very firm hand along with eliminating the root causes for the creation and growth of the phenomenon.